Your website’s success is directly tied to the level at which it connects with your target audiences. While most small businesses can quickly articulate what they offer, they often fail to speak in terms that resonate with their customers. Identify your target audiences. Who are they? Why would they have interest in the products or services you offer? What questions do they have? 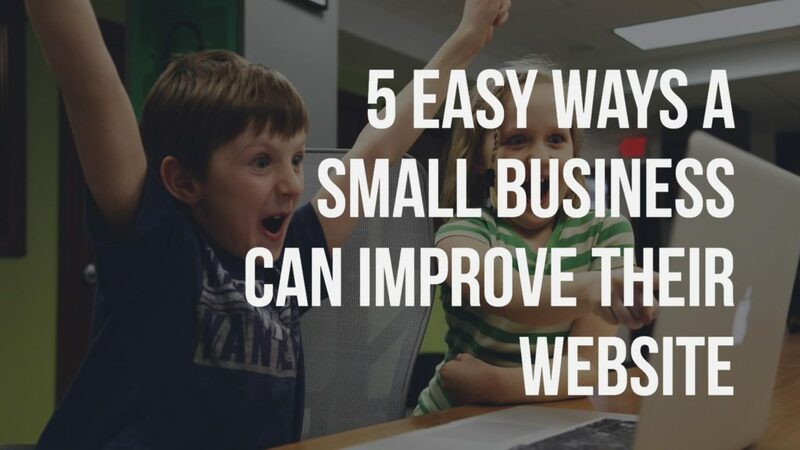 What would they want to learn or accomplish on your website? How can you help them? By taking the time to know your audience and creating a plan for helping them, you’ll be setting the right frame of mind for improving your website’s content and user experience. With an understanding of your audience’s goals in focus, review your website with a critical eye. Look at each page of your site. Could a visitor quickly identify the purpose of the page, how it’s relevant to them, and what they can do next? Each page should have at least one clear call to action. Again, consider the user’s experience. If they are reading about a specific service you offer, what would they want to do next? Read about a complimentary product or service? Request a quote? Watch a demo video? Read a case study or testimonial? One other simple (yet often overlooked) point: don’t forget to make your phone number easy to find. I’m continually surprised at how many people express frustration over difficulty in finding a company’s phone number on their website. We’re regularly asked by small businesses to review their websites and offer suggestions. In nearly every case, some quick improvements to featured imagery on their websites would make a big difference in the site’s visual impact. In fact, the change from a poor image to a more creatively-effective image can enhance the entire tone of a website. While nice visuals alone do not ensure a great user experience, they can make a tremendous difference in the credibility your website conveys. Whether it’s the use of some creative stock images or images of your own, take the time to consider composition, color, and relevance. While some website improvement opportunities are clear, others are more difficult to uncover. Ironically, it’s the people closest to a business that often have the greatest challenge identifying a site’s flaws and room for growth. It’s important to ask for outside input. Consider gathering a small group of people to help test the user experience of your website. By watching others (who are not as close to the business as you are) interact with your website, you’ll gain perspective. See if they can quickly identify the purpose of your website and how they would go about accomplishing meaningful tasks. Where do they struggle? Which aspects of the website are confusing to them? Then, use their points of disconnection as an opportunity to improve. One of the more common online mistakes that small businesses make is viewing their website as a periodic project. They’ll wait years between updating their website, waiting until their site is significantly outdated before addressing it with a major re-design. Rather than viewing your website as a large project to be tackled every five years or so, view it as a dynamic part of your marketing strategy in need of ongoing attention. It’s often the small improvements between major re-designs that make a big impact. Set aside time on a regular basis to review your website analytics, keep your website content fresh, and test specific site improvement ideas.